If you’re looking to study business in Europe, give some thought to the idea of studying abroad in France at NEOMA Business School. With its campuses in Rouen, Reims and Paris and many courses fully taught in English, NEOMA Business School has a reputation for being one of the most innovative English-speaking grandes écoles (AKA Grand School) for management in the region. NEOMA Business school graduates consistently land top jobs. NEOMA Business school is known to produce employable graduates with highly desirable skills, and this strength is very clearly reflected in the university’s employability statistics. 95% of NEOMA BS graduates on either a master in management or any of their masters of science find a job. 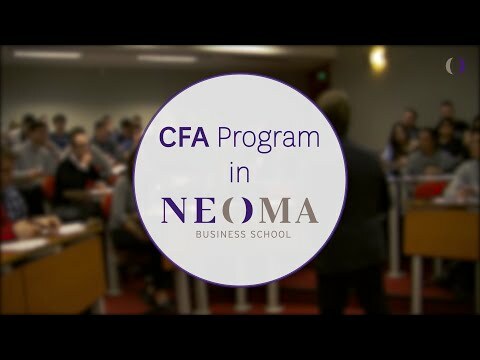 A powerful network of influencers with over 57,200 graduates all over the world, 300 partner universities in 75 countries, and 200 partner companies, NEOMA Business School is a well-connected establishment with an unusually active alumni network to help you access hot opportunities, and get your foot in the door at many companies, throughout your career. Three stunning campuses in France Based in the 9th Arrondissement, NEOMA Business School’s Executive Education campus is situated in an incredible neighbourhood of the French capital, within walking distance of Google’s Paris HQ, the magnificent Galeries Lafayettes, le théâtre de Paris, not to mention local landmarks like le Casino de Paris and la Grande Comédie. NEOMA Business School also has an absolutely gorgeous 7-hectare campus in Rouen, surrounded by woodlands just an hour and 15 minutes from Paris by train. Rouen is an historic city, once admired by the famous French novelist Victor Hugo, as well as Flaubert, Maupassant and the painter Monet. Meanwhile Reims, where NEOMA Business School’s third campus is situated, is an truly architectural and cultural gem, close enough to Paris to attend networking events and job interviews and home to burgeoning pharma, healthcare, food, biotechnology and alcohol industries. An unrivalled student hub Students at NEOMA Business School are blessed with a very approachable friendly international office which can help students book accommodation, open a bank account, find airport shuttle services, visit campus and obtain social security and insurance. It’s also home to an experienced Talent and Career unit, which can help with career counseling, internships and job applications, and a passionate student affairs department, which helps to guide students in their learning journey. Follow the university on Facebook, Twitter, YouTube and Instagram. NEOMA Business School boasts several campuses in three different regions: Champagne, Normandie and Paris (inner city). The international diversity of students and faculty (respectively about 1,500 students from 100 different countries and 55% of the faculty) can develop in privileged environment, aiming at striking a balance between the professional and personal life. Locations made easy, practical and smooth: from 10 to 20 minutes to reach railway, metro stations and bus stops. Reims campus: two sites with a contemporary architectural style, located five minutes from each other by tram. Rouen campus: an ideal setting located in a 7-hectare wooded area. Paris campus: located in the 9th Arrondissement at the heart of the French capital. This provides students and faculty with comprehensive study facilities and electronic access to a vast array of specialist research databases, and many more services. At NEOMA Business School students are supported in every aspect of their learning journey, starting from day one (paperwork) and throughout the whole studying path (guidance on making important decisions about course options, developing the career plan…). The Talent and Career Unit (T&C): focused on unveiling and encouraging students’ talent. NEW IN SEPTEMBER 2019, the first year on the Paris campus. Employability is at the heart of the School’s mission. NEOMA BS is proud to display performing figures on employment as a result and reward to its commitment to training students. 95% of our students find employment after graduation.